a) PHILIPS CD-PRO movement module, multiple anti-vibration systems.Newly developed high stability heavyweight chassis vibration to eliminate the vast majority of interference. b) Elegant layout and structure, reducing leakage magnetic nterference,and servo, digital dual R-type transformer for power supply. 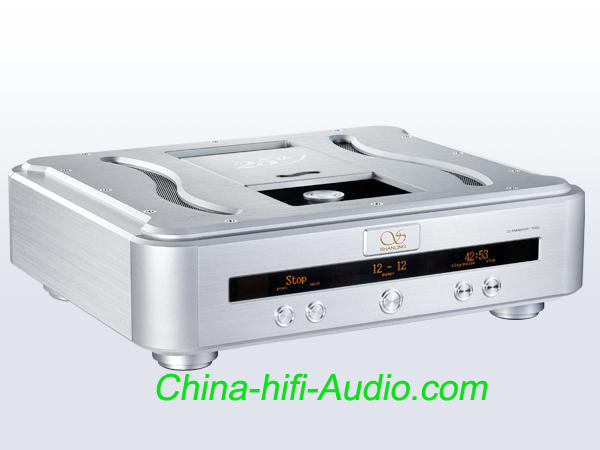 c) Higher purity vacuum tube buffered output digital signal lines.1PPM precision clock replaced CD-PRO module factory clock and minimize the JITTER. d) Full visual, multi-functional OLED display and reserved external synchronization clock input.